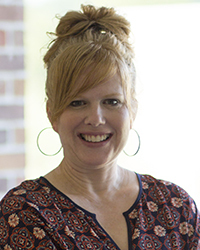 Carla Kirchner has an MFA in Creative Writing from Spalding University and is an Assistant Professor of Language and Literature at Southwest Baptist University in Bolivar, MO. Both a poet and fiction writer, Kirchner won the Concrete Wolf Press 2016 Poetry Chapbook Contest for her chapbook, The Physics of Love, which will be published in the fall. Her fiction has recently appeared in Rappahannock Review, Eunoia Review, Unbroken Journal, Foliate Oak Literary Magazine, Gravel Literary Magazine, andLiterary Orphans.